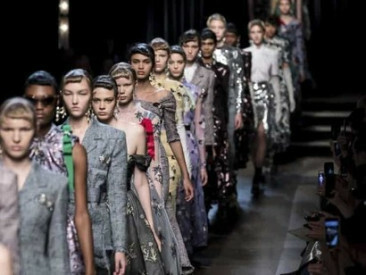 Paris, Milan, New York, Tokyo… These are just some of the world’s most prestigious fashion catwalks. There, and elsewhere, perfectly – and often unrealistically – silhouetted young women and men graciously parade to impress elite guests and TV watchers with surprising, fabulous creativity of the most renowned fashion designers and dressmakers. And it reminds us that: “Fashion today is about obsession with outward image and appearance. Rarely do we as consumers consider what’s on the inside: the hundreds of thousands of fibres that make up our clothing which have led to an estimated 1.4 million trillion plastic fibres in the ocean”.